Last week, we got an amazing opportunity to talk to Prestige’s Co-Founder, Monineath about her journey in the SmartStart programme thus far. This week, we got to catch up with yet another exciting SmartStart team, Spare, to find out how they have been faring so far into their SmartStart journey. Spare is a digital platform where space seekers and space providers can connect for the purpose of renting out any kind of unused spaces for meetings, events and more. Interested parties can go onto the platform and view the wide array of listings, choose what spaces they want based on their needs and send a request to the owner immediately upon making their decision to book the space. Right now, the renting is focused on short-term rentals, ranging from a whole day to just even a few hours. 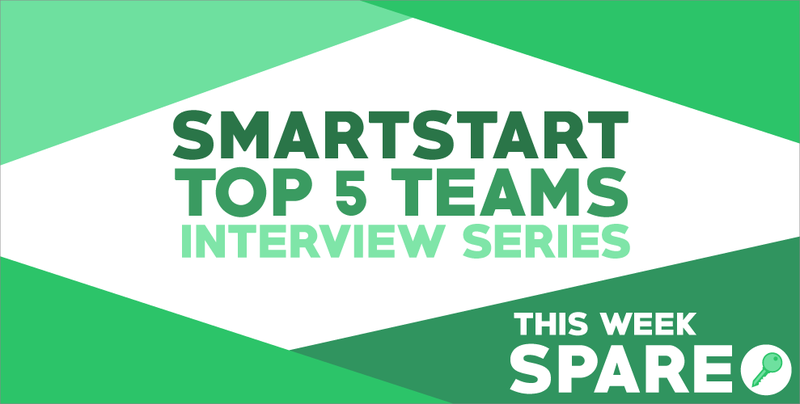 During this interview, the Spare team shares with us about their journey as a team, the challenges they’ve faced thus far and how they feel being amongst the top 5 winners of the SmartStart Young Innovator Programme. The Spare Team together with their USD 4,000 from Smart Axiata, as part of being the top 5 winning teams. What inspired your team to come up with such an idea? Spare (S): This has been inspired by our own difficulty actually; when we faced the problem of finding a space to do assignments together and we also thought about people who had unused spaces and thought ‘Why not just rent it out to people so it can be used and they can earn some money too?’. And that’s how the idea popped up! We also want to inspire people to use other spaces because for example right now, when you think of an event space, people usually might go to CKCC (Cambodia-Korea Cooperation Center) because it’s so mainstream; but the process can get a bit lengthy, so we are trying to transform and change this process and allow people to look for other events spaces that are more attractive and more accessible to them. What makes your innovation stand out from what is currently found in the market? S: Basically, I think that we are not portraying ourselves as (real estate) agents, where space providers put up the listings and the agents do all the work on their behalf. For our platform, space providers manage their spaces themselves, from the requests to the different bookings; so it’s technically like having their own businesses. We are here just to help them get access to interested customers and connect them together. The competition started with 30 teams and now you’re part of the top 5, how has the experience been like so far? S: It feels so unreal! We’re so excited, sometimes we even feel like this is unbelievable because we just started with an idea that was maybe too unique that no one was interested in being part of it and the other teams also had really good ideas as well. But up until this stage, we still remain very excited. Now that you are in the incubator phase of SmartStart, what are you currently working on in terms of your innovation? S: For the past 3 months up till now, we’ve been working on the platform and it’s nearly done. We plan to launch it next month. For the business side, we are currently contacting people in order for them to put their spaces onto our platform; so that when we release the product, people will be able to see a lot of listings on there. We even met some of these space providers and listened to their suggestions and feedback to improve and adjust our service. How is the incubator phase different from the first few phases? S: I think when we first entered the program, we just had the idea and we sharpened it. But the incubation phase is like a reality, this is where you have to face this and that. You have to talk to a lot of people, do a lot of marketing stuff and study a lot of things so your idea can come to life. When it comes to making a plan, you obviously want everything to be perfect. But obviously in reality, we faced a lot of problems. Like even though we won the USD4,000 prize, we cannot just spend in carelessly. So we need to manage it wisely and that’s when we learn a lot about sustaining our business well. I understand that your team is comprised of University students and it may get difficult to cope sometimes, how do you cope? S: Currently, we don’t face that problem (of coping with our studies) yet because we are on vacation, so we were able to update a lot of things. However, next month, we will be going back to school and that’s where we might meet the real challenge. But we’ll manage– maybe by changing weekday work into weekend work so that we can balance focusing on our studies and this platform. We are also thinking of recruiting more members so they can help us (with the workload). Besides that, what are the challenges you have faced so far in your SmartStart Journey? S: Even if the idea is simple at first, we acknowledge that we’ve encountered a lot of problems– like not having an easily accessible network in this field, being a young startup, we don’t know many things but we just try our best to come together and discuss what our next steps should be and we ended up meeting a lot of people who helped us along the way like Impact Hub and Smart who were able to introduce us to people who helped to gather our ideas and connect us with others. Also, thanks to our university, Zaman University, for giving us a space to work when we cannot come down to Impact Hub; which in turn saves us a lot of time and money. Making the platform was also troublesome, with all the payment processes. So it was really somehow difficult for us to start, but it is still a good opportunity overall. What is the biggest takeaway or lesson from this SmartStart Programme as of now? S: The benefits that I’ve enjoyed most from the programme is actually working in the incubation programme itself. I don’t think most of the startups out there get to experience this like us because we won and we got this special chance. Through this, we get to meet whoever we want to meet, work on our ideas and be guided by the mentors. This is also a really good time to put what we’ve learnt in school into our platform, like writing a business model and planning; but for us this is a reality for our idea. This programme is not the first of its kind, but it is still new to Cambodia; so it is a privilege and we can benefit a lot. Comparing this programme to other startup Programmes, we can say that SmartStart is good because they don’t just give us the money and prizes, they actually stick with us and guide us along to make sure our idea works through monthly reviews and mentoring. Moving forward, in these 6 months, are there any ways you are further planning to improve your innovation? S: Now we’re just testing the product before the official release and we still need a lot of improvement and suggestions from other people. We are looking for some long-term space options and rentals for the future. What you are doing now is definitely something very inspiring to other young innovators, what are some words of encouragement you can give to them? S: Sometimes people spend too much time drafting and finding the idea, to the point they forget that it is actually the practice itself that pushes them to perfect their product and business idea. So I suggest just stop from drafting and actually get out there and talk to more people and put the business out there to really see if it can work or not. Don’t wait for the perfect moment in order to start something, do it right now! We’ve had previous experience in participating in competitions, so we definitely encourage people to join as many competitions as possible to improve their network and learn more. And who knows, maybe even though you think your idea isn’t good, through the competition you can see the value in your work from other people’s perspective. Overall, the confident pack of individuals were extremely enthusiastic about the future on their innovation and their meticulous attention to detail and laser-sharp focus on their end goal was definitely inspiring to see throughout the interview! We at Geeks in Cambodia wish the team all the best during this incubation phase and we cannot wait for the official launch of their product coming really soon. For more information on Spare or to engage in their services, you can visit their Facebook page here or their website here. 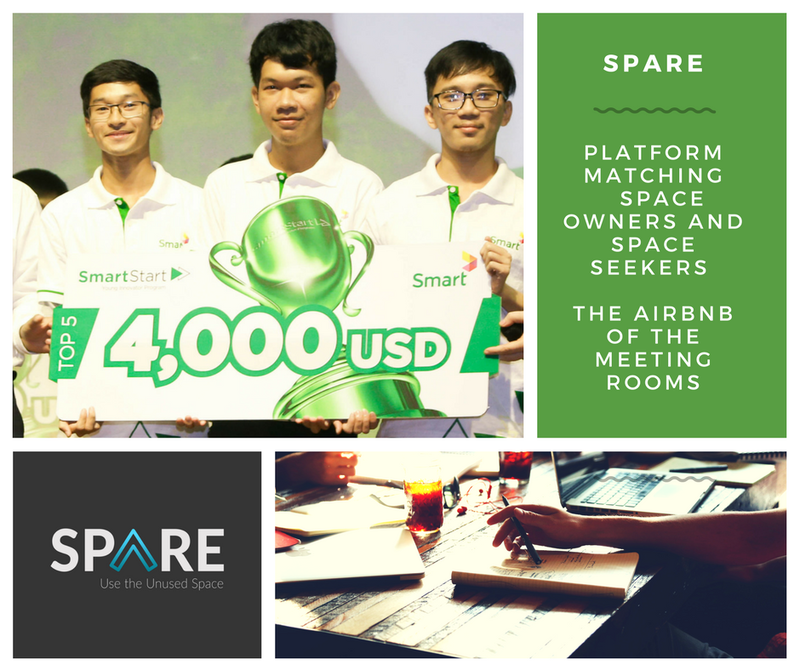 If you want to keep up with Spare and the rest of the SmartStart teams throughout their incubation journey too, follow Impact Hub’s Facebook page to get more updates or check out the Smart for Cambodia Facebook Page. Also, don’t forget to stay tuned on Geeks in Cambodia because there will be more SmartStart Interviews to come!